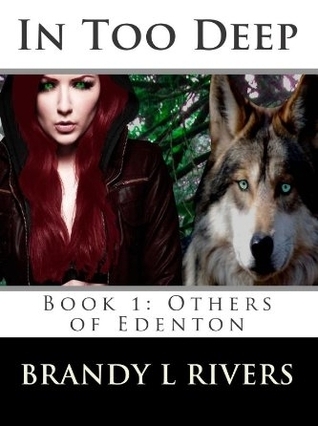 B's Beauty and Books: My little insight to the amazing author Brandy L. Rivers! My little insight to the amazing author Brandy L. Rivers! First off let me start by saying thank you for taking the time to do this. It is really appreciated and I hope it gives some idea of who the person is behind these great stories! BR: No Problem, I appreciate you taking the time to ask me. 1. When you were writing In Too Deep, you put a lot of story into it. I personally was wowed by the background and detail involved. Did you think this might be a standalone? Or was it always the plan to make it a series? BR: I didn't really have any plan. I started writing and let the story take me where it wanted. The more I wrote and got to know Fallon and everyone in Edenton the more everything expanded. 2. There is a real family and community feel behind In Too Deep. It was one of the biggest draws of your book to me. Is there a character for each of the members of your family & friends represented in the book? BR: No, not really. I don’t hang out with my friends nearly enough lately. I’m a stay at home mom of three, so I write to stay sane. I love my husband and our kids, but I writing gives lets my imagination flow, and it’s always flowing. 3. I said when I reviewed your book that the world was so vivid that I could see it ridiculously clearly. I even had a dream about it, which is what happens when I read really great material. Did you have a clear insight to what Edenton would look like? Is it based off a real place? BR: No real place. I know where it would sit on I-90 if it did exist. I gave this some thought. I wanted a town that didn't exist since I was filling it with a whole world that don’t exist, so I didn't want to send anyone in search of something that wasn't there. 4. While writing your first novel, was there anything about the process that you thought was crazy difficult? BR: It’s the first I've published, but it’s not the first I've written. The first I wrote is pretty lame, even though it’s my Mom’s favorite. Then there are others I wrote that I open up and look at and think, hmm, I should do something with this. I think the worst part is the editing, and trying to catch all the little mistakes. One day, I’ll hire a real editor, but for now that isn't in the budget. BR: Sorry, he’s not based on anyone. He has bits of my husband in him. He has a brother, but he’s nothing like Adam. He’s also married with a kid. Sorry, B. 6. Obviously with New Beginnings coming out there is more in store for you and for the gang in Edenton. But do you have any plans to move into another series based on something else? BR: I have a lot of story to tell in Edenton. We’ll be there a good long while. However, there are a lot of stories I have sitting, just waiting for me to get back to. Most of them take place Seattle, or at least start there. (Can you tell I’m a Washington girl?) They are all connected by threads at the very least. 7. What is a secret talent you have that no one knows? Are you possibly a Were in disguise? BR: I’m a supermom and super multi-tasker. Not anything as cool as a were or a druid. Although I have to say, I wouldn't mind being a druid or mage. 8. Of all the characters in In Too Deep and New Beginnings there are a ton of unique special abilities and super powers. What made you think of some of them? BR: I have no idea. It’s just how it played out in my head. I probably read too much fantasy, and played too many video games. 9. Reading a bit about you I know you are a kind of a monster freak. Which as a fellow horror movie lover I adore! What or rather who is your favorite monster movie/book character of all time? BR: Hmm, that’s a good question. I have a whole list of faves, and they’re from books because most of the time I laugh at horror movies. If we’re talking vampires, I’d have to say Vishous from JR Ward’s BDB, or Wicked and truth from Laurel K Hamilton’s Anita Blake series. If we’re talking demons, Paris from Gena Showalters Lords of the Underworld. If we’re talking wereanimals I’d go with Simon from Lauren Dane’s Chaos Burning. He’s a Lycian which is basically an uber werewolf from across the veil. I’m going to stop there, or I may never stop. 10. You know I do a beauty tip and review blog as well as review amazing books like yours, so I have to ask. What does the perfect Other use to make herself beautiful every day? BR: Lip gloss? It’s the one thing I do use on a regular basis. I was a tomboy so I’m not the girliest of girls. It’s funny because my two girls are. Thank you again Brandy! I enjoy working with you and I really have enjoyed getting to know you! I think you are fantastic! BR: Now I’m blushing, thank you again for having me. You are a sweetheart and I love chatting with you. 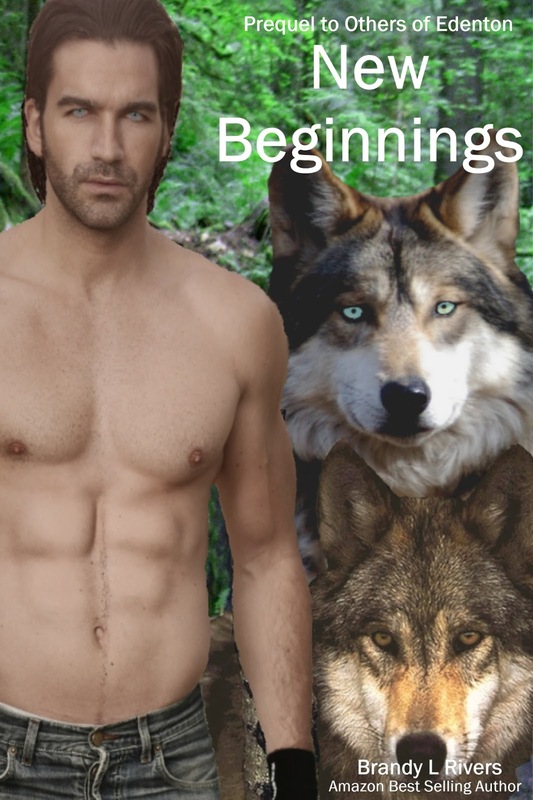 Now I best get back to work on the epilogue for New Beginnings so I can finish editing. I really cannot say enough about this amazing lady! If you haven't read The Others Of Edenton Series you really ought to!